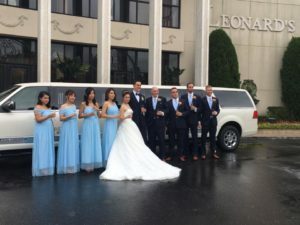 Valley Stream 11580 New York then K & G Limousine is best option for everyone in Valley Stream Nassau County, New York. We assure that our vehicles are not the typical “cookie cutter” cars so often found in our competitors. We modify our interiors to cater to our client’s needs making us stand out from the rest. To see our Limos & Sedans Click Here . Valley Stream Party Bus Rentals provides high quality and cheap charter bus services in Valley Stream New York, at an affordable price. Choose any luxurious vehicle from our fleet that can hold up to eight passengers, eighteen passengers, or even forty passengers. Any time of the day you need us Valley Stream Party Bus will drive you to where you need to go. Whether it’s a one way, 4 hours, or 8-hour trip, we’ve got you covered. We also provide reliable limo and town car services from Valley Stream to JFK, 11582 Valley stream to LGA, Valley Stream to MacArthur Airport, and Manhattan to/from Valley Stream. If you’re flying through JFK, LGA, Newark airports, a car service is ready to help! K & G Limousine airport transportation offers the highest standards of service, from the professional comportment of our drivers to our immaculate vehicles. You will be greeted at the baggage claim area of airports and taken in style to your destination, anywhere in the New York and Long Island. Book a Valley Steam airport service in Valley Stream for all your travel needs. Get the perfect ride when you are at Valley stream with our party bus rental service. If you are here for a wedding you would need transportation, for yourself as well as others. There are several limo coaches that we offer for hire that can be ideal for group transportation as the cost of party bus rentals is affordable. There are limos for hire as well and premier and vintage vehicles that would ensure that your wedding ride is the perfect one and within your budget such as limo rentals. You have finalized the date, purchased the outfit and spotted a lovely venue. Now it is time to discover the ideal wedding limousine for your special day. At Valley Stream Limo we comprehend that your wedding day is the most crucial day of your whole life and no doubt you wish it to be the best. With so many responsibilities to be taken care of, wedding limos offered by Valley stream Limo is one thing that will be stress-free. Our chivalrous staff will work intimately with you to offer the finest Valley stream wedding limo solution to fit your exact requirements. You have the date, the dress or tuxedo, and the hair and/or makeup appointments, now all that’s left to do is order the prom limousine. For most teens, this is the only way to go. Gone are the days of couples being driven or using Dad’s car to get to the most important social event of high school. And while some still would rather go by themselves, a growing majority of students love being driven around in a luxury car. K & G Limousine is happy to provide you with exceptional limo transportation for your birthday. We specialize in Birthdays limos and Valley stream birthday party buses! Celebrate your special day with extra special touches from K & G Limousine and order a birthday Limo package. If you are hitting the town with friends in your birthday party bus, Please give us a call at 516-437-3826 or email us at info@kglimo.com to make your reservations. Our staff can help make your special birthday celebration a success with suggestions for restaurants or activities. Planning a surprise birthday is also fun – our staff and chauffeur can be very discreet and roll up to your door with your surprise limo. Just let us know it is a surprise! Celebrate Your Daughter’s Sweet Sixteen Parties In Grand Style! We specialize in Valley Stream Sixteen Party Limo Services. Are you looking for a trusted and professional Valley stream limousine company to help you celebrate this most special event? Turn to Valley stream Sweet Sixteen limousine transportation specialists. K & G Limousine has serviced many Sweet Sixteen limousine events and continues to make each special client feel like a princess on their special day! Check out our Luxury Fleet Vehicles and then be sure to book your special date early to ensure the vehicle of your choice.